The hanger was silent apart from the echoing pace of a pair of hob-nailed grav-boots. Sergeant Major Eric stopped in front of a new recruit. He ran a gnarled hand through his beard as he glared into the man’s navel. There was a small squeak of a reply. “Gibbons.” Eric let it stand in the air like a bad smell. 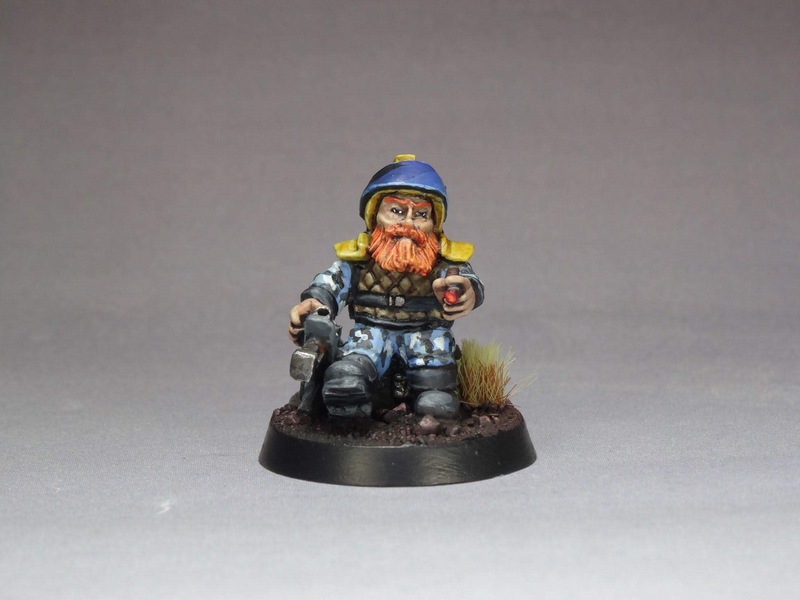 He slowly took out a fat cigar and struck a match on the side of his helmet followed by a long slow pull. The smoke ring drifted into Gibbons’ face and his eyes went crossed. “WHAT WAS THAT?” He roared. Spit covered the privates face as he fell back whimpering. 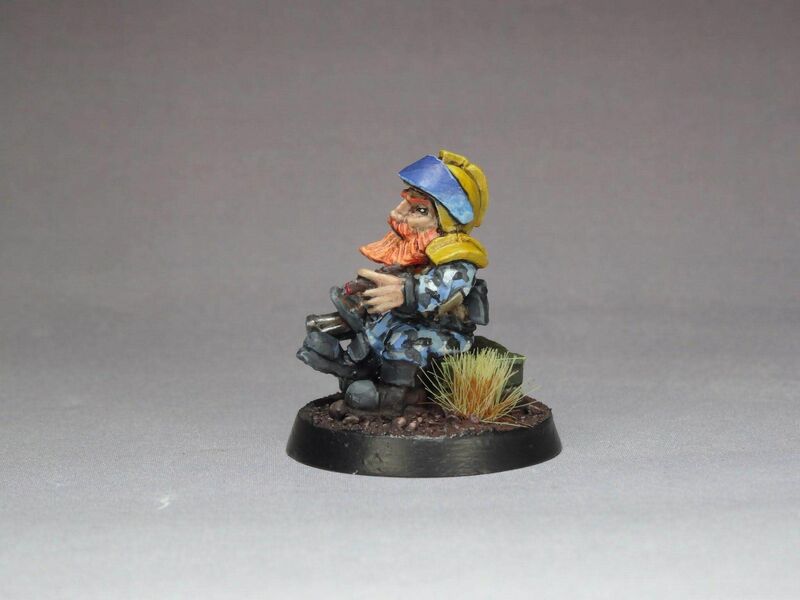 Eric, the Space Dwarf, is our logo made flesh (well, metal) and we hope you agree this is a model packed with character! Beautifully sculpted with that old-school aesthetic we all know and love, Eric makes a great addition to any sci-fi collection. 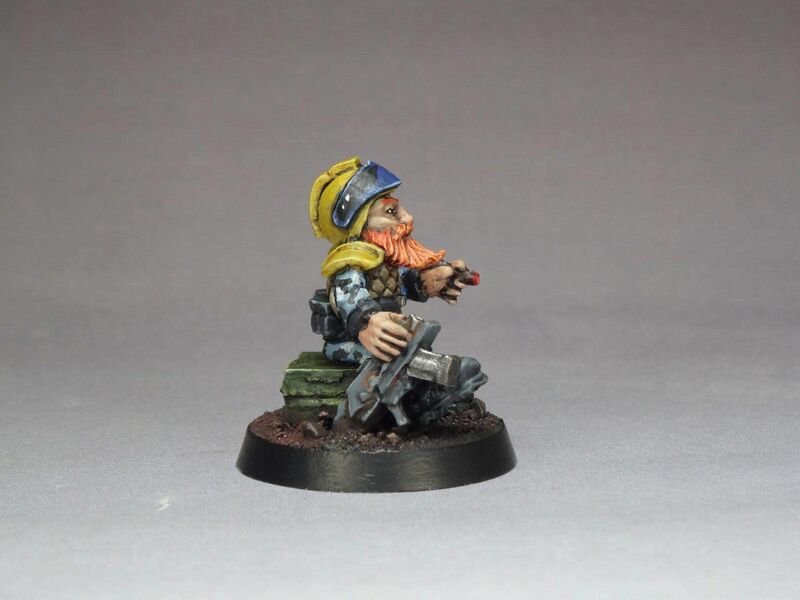 Eric is also to scale with other popular brands of space dwarfs so he will fit in well with your army. We think Eric could look great in a diorama or as a centrepiece of a small display.